Albert Cornelissen was born March 29, 1913. 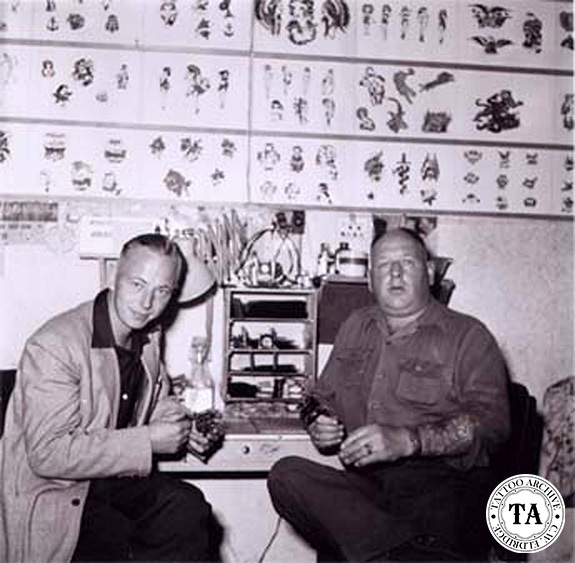 Information about his early history is unknown but we do know that by the 1950s he was tattooing in Rotterdam, Holland at #36A Veerland. His customers were mostly sailors and when the ships came in to Rotterdam, he would wait at the end of the gangplank and hand out a fist full of business cards. These cards would promote his tattoo shop in Katendrecht, which was sometimes referred to as "Rotterdam's Chinatown." It is only natural that Cornelissen would be drawn to this area of town, since he came from a family of sailors and spent 20 years as a sailor himself. The 1960s found Albert Cornelissen and his son traveling Europe in this mobile tattoo shop. They followed the US aircraft carrier Saratoga through Spain, France, Gibraltar and Belgium while they tattooed the troops. 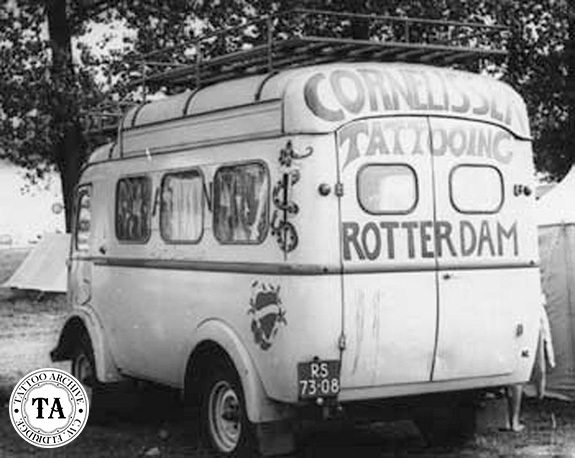 During this traveling Cornelissen had the chance to visit many tattooists.